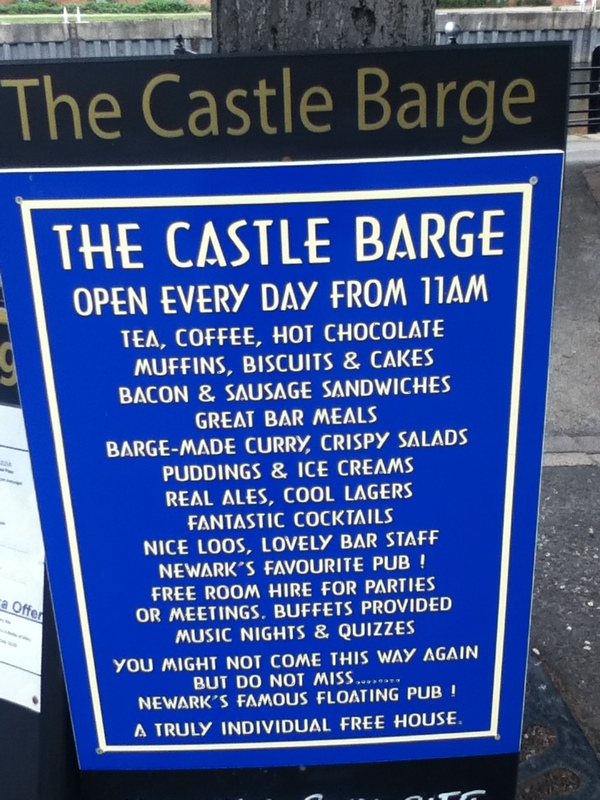 The Castle Barge is a Floating Pub on the River in Newark near to the Castle. Maybe that is where it got it’s name (sic). 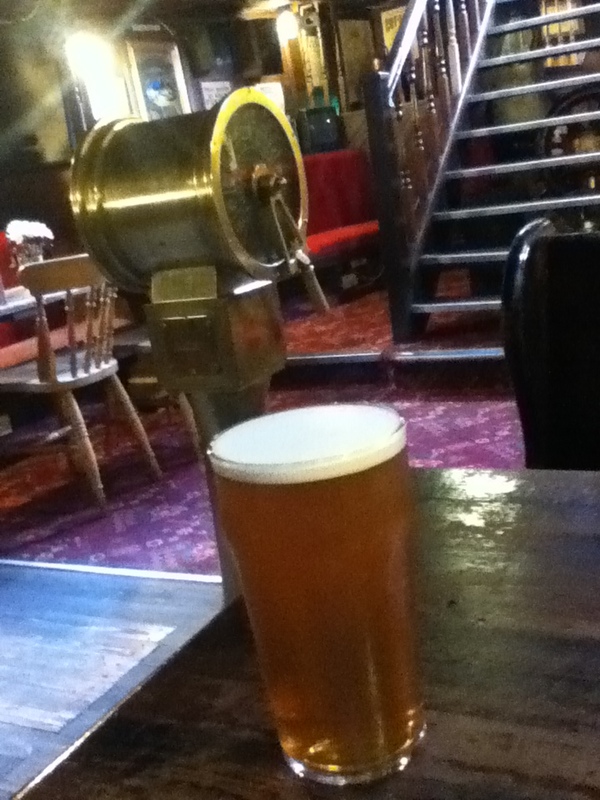 On their website they describe themselves as “Newark’s famous floating pub!”. All I know is that we crossed over the bridge on the way from the station into town and saw a boat with a sign declaring “Fine Cask Ales Available Here!” and we were like “Hey there’s a boat, that’s a pub and they have real ale” and pausing only to take multiple photographs like some sort of real ale tourists on a beer trip through Newark upon Trent we were in there quick sharp. 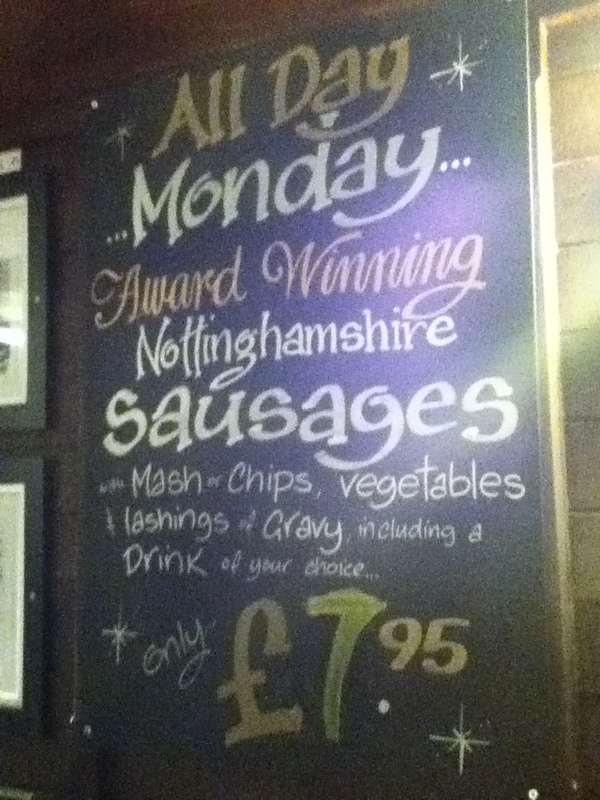 To be honest the menu was a little sparse and the only thing that caught my eye was the “Nottinghamshire Sausages – Award-Winning Sausage (Pork Venison & Bramley Apple) With Mashed Potato, Vegetables & Guinness Gravy” but that may also have had something to do with the big chalk board on the wall next to our table as well. 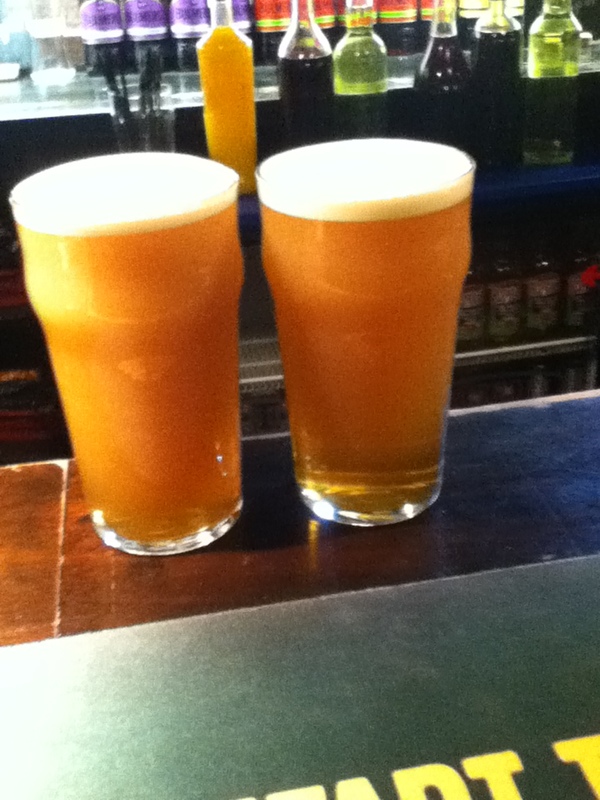 Anyways it was not a Monday so we were not going to order that anyhow. 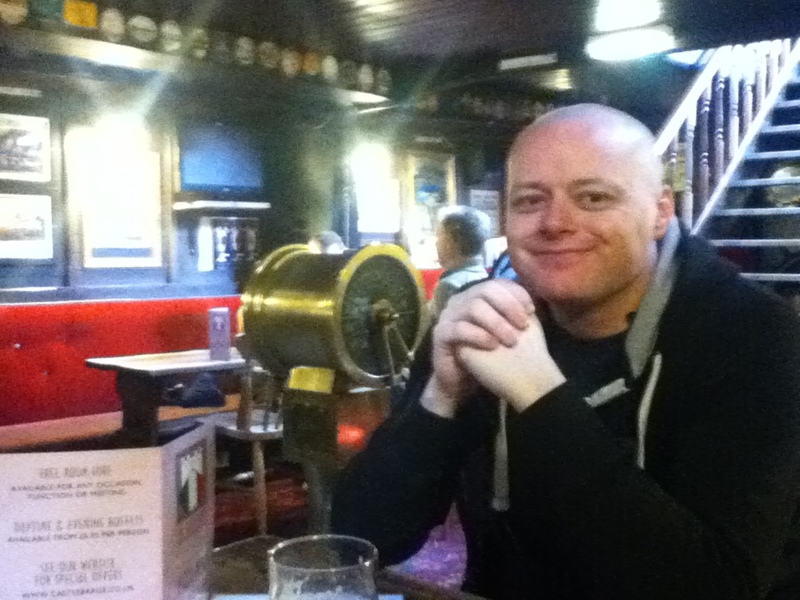 At this point at the start of our visit to Newark upon Trent we were ever hopeful that we would be all about sampling the food at one of the Town’s fine dining establishments. Ok yes I know we all know that wasn’t the plan. 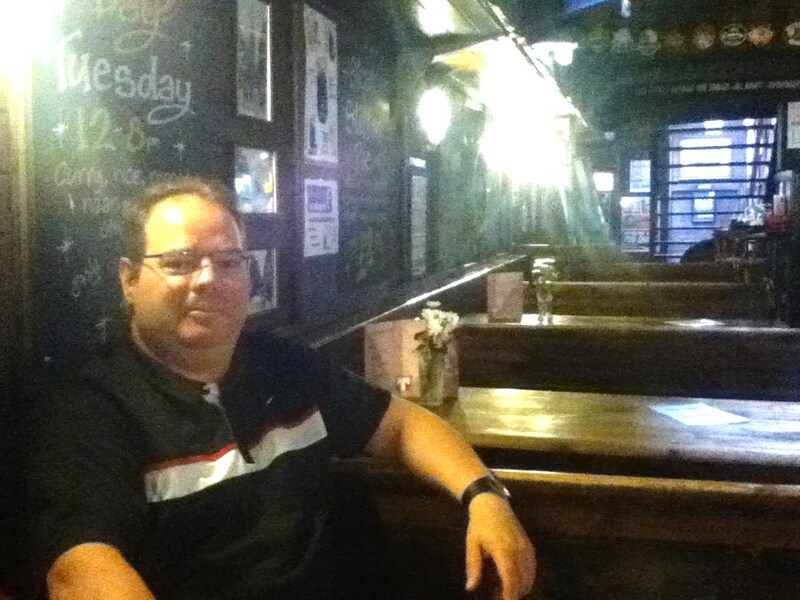 The plan was to sample the many fine beers that Newark had to offer, and at some point then realize that we really should get something to eat preferably something with a small amount of merit. 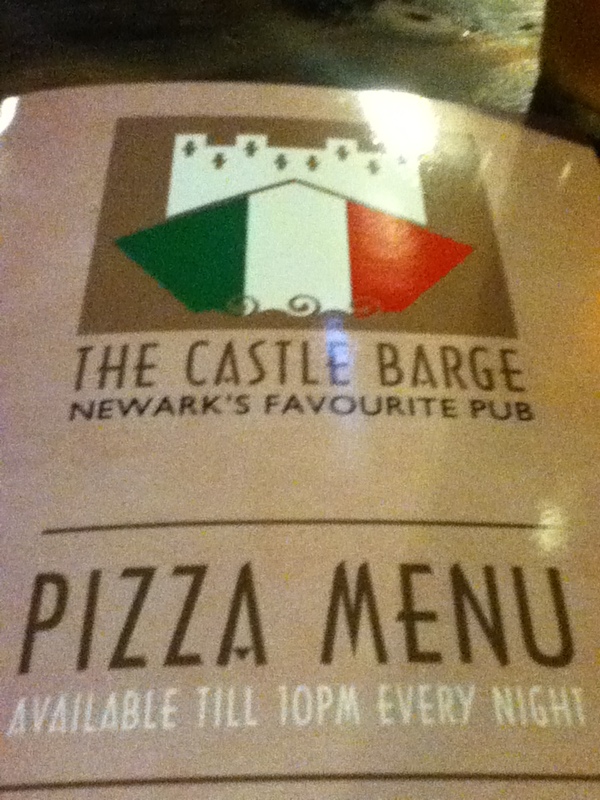 Well that was the plan, and so it was that 8 hours later we found ourselves back at the Castle Barge with 30 minutes to spare before our train left the station perusing their late night and as it happens all day Pizza Menu. 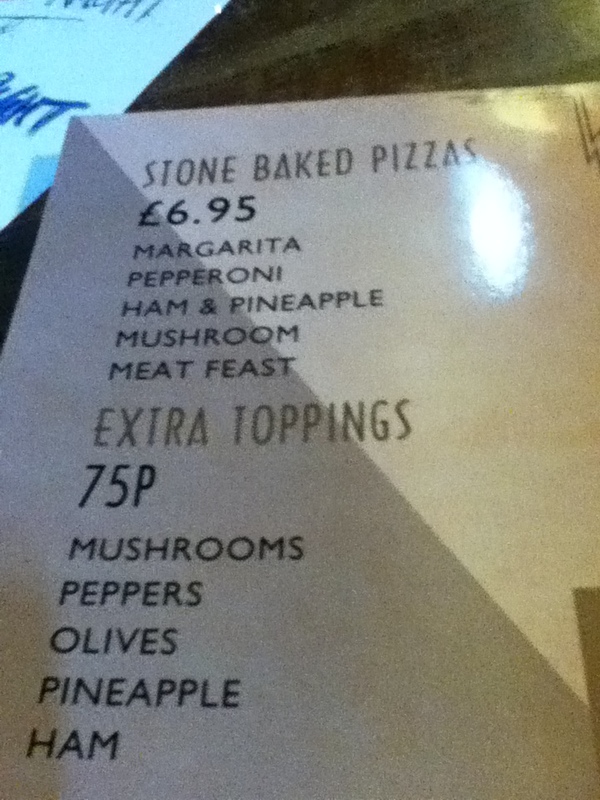 We succumbed to temptation and ordered a 10” Stone baked Pizza with Pepperoni topping to share. It was pretty dark inside the barge so the picture is just to indicate the existence of the pizza as opposed to being an entry in this months fine dining photography competition. 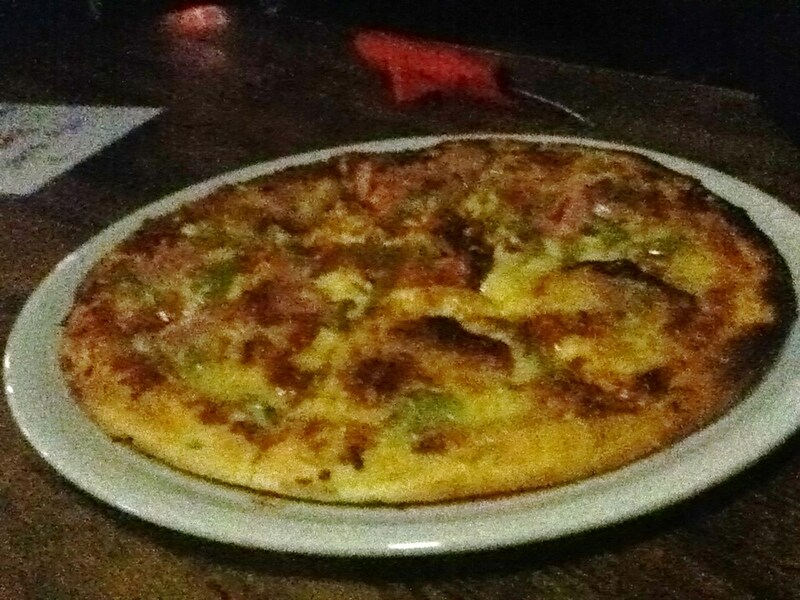 The pizza itself was pretty acceptable but there was one curious thing though about this plateful. Why is it that we were able to eat slices of it quite comfortably but yet the drops of juice that fell from each slice onto my arm when I bit in to it really burnt the skin? Someone must have done some research on that. 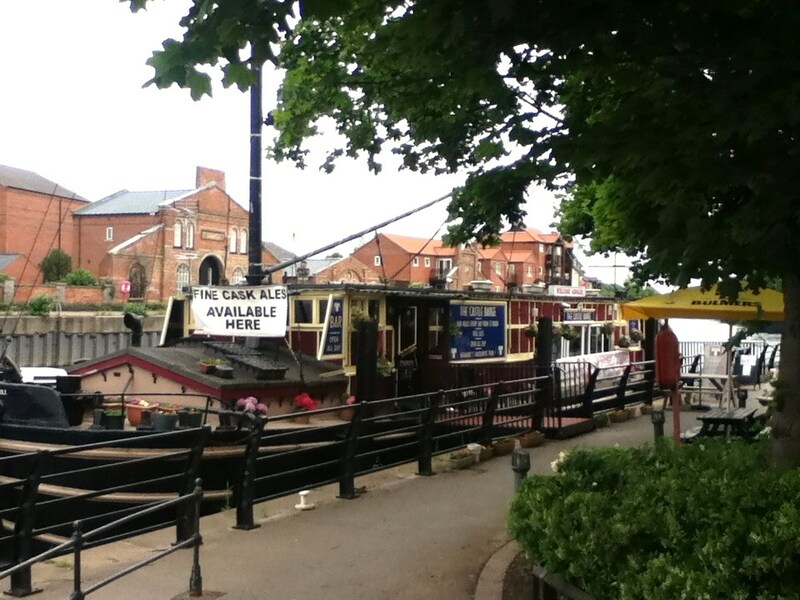 I really liked the location of the Castle Barge within close proximity of the railway station in Newark. 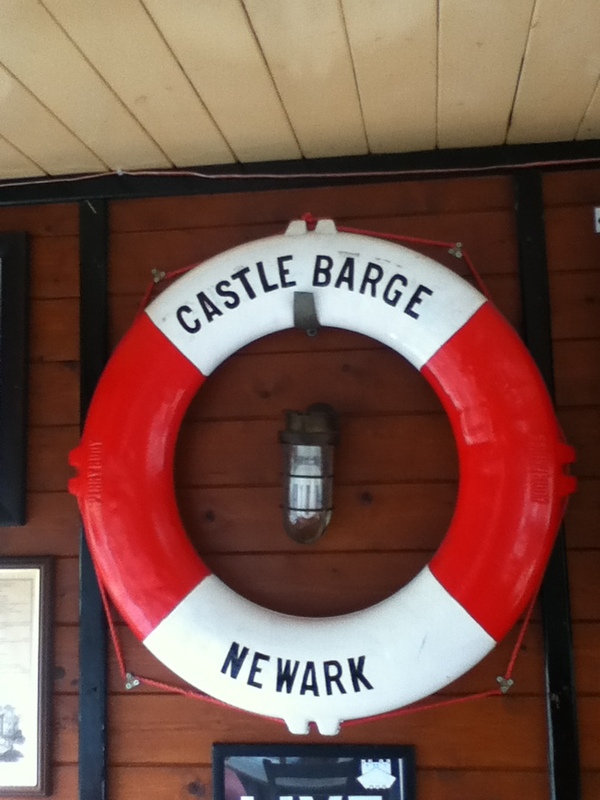 I know that it is not really intended to be there just for our personal benefit, but it did work out that way with it being our first and last port of call in Newark. In many ways it was that safety ring for our adventures providing both liquid and solid refreshments when we most needed them.